My Little Paris The My Little Paris website always has great ideas and tips for whatever you might want to do or see while in Paris. I'm in love with the little drawings, sound effects and the music that's playing on the site depending on what you click on. They couldn't have done it any better. I always have to make a little list of what I want to try out after visiting their website. Paris Pâtisseries If you're a pastry lover (or well, "anything sweet lover") just like me, this blog is a little piece of heaven for you. Adam, the writer behind the blog, writes about yummy pastries and takes such beautiful photos that you'll probably drool all over your keyboard while scrolling up and down his perfectly put together site. 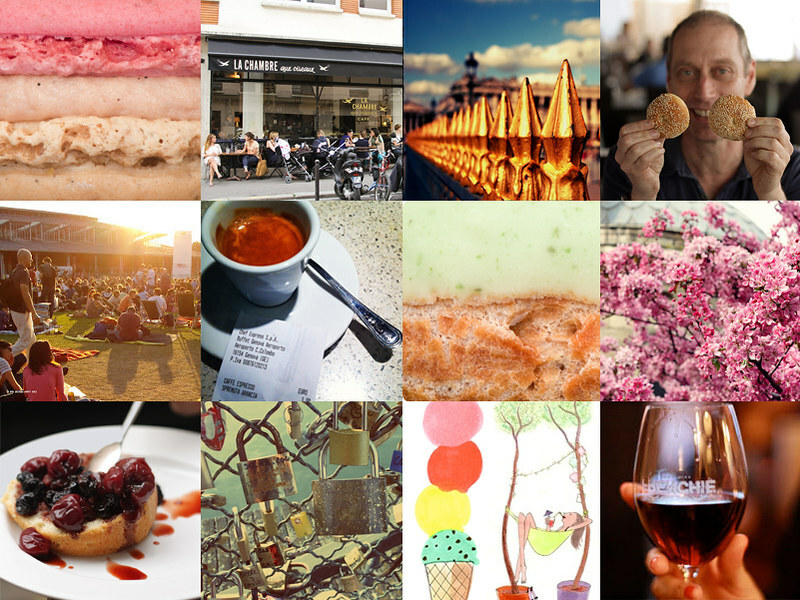 HiP Paris Blog Before moving to Paris I read the HiP Paris blog religiously to learn everything I possibly could before my move, and to find out about every new and trendy restaurant or café in the city. It became my Parisian survival guide. And I'm sure it will be helpful to you as well. If you're looking for anything Paris related, this is where you'll find it. Little Pieces of Light I love the photos and the insider tips the blog Little Pieces of Light gives me. It really feels like you're in the city, wandering along the beautiful rues and avenues of Paris while going through the pages. If you wonder about what you can do in Paris if it rains, where to get a great meal or which macarons to buy, this is a great source of information. Lost in Cheeseland Lindsey Tramuta, the writer of the blog Lost in Cheeseland, always gives you the best Paris inspiration through her beautiful photos and fantastic texts. Through her blog you'll get some true insider tips and suggestions before your Parisian adventure. Grab a pen and a piece of paper and be prepared to write everything down! Unlock Paris Unlock Paris always knows what's happening in the city of light. If you're in the mood for something more than just the usual shopping and sightseeing on your trip to Paris you should visit this website. Museums, restaurants, new boutique openings, events — you name it, they know about it. David Lebovitz If your on the hunt for something sweet to eat (or rather anything that's possible to eat) this is the man you should consult with. David Lebovitz has written several books on the subject and his suggestions have never failed me. Thanks to him I discovered my favourite pizza place: La Briciola. So here are my favourites, which ones are yours?